This image was made in Staunton, Virginia in January of 1862, during Genl. T. J. Jackson's "Romney Campaign". Neely survived that campaign only to receive of bullet wound to his leg at Perryville, Kentucky on October 8th of the same year. The wound required amputation of his leg at the hip. 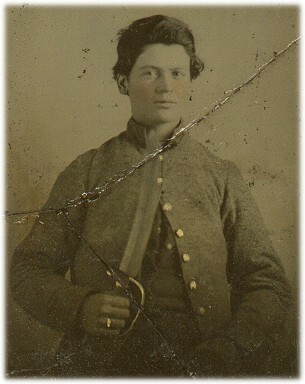 He was listed as being in the "Confederate Invalid Corps" at the time of the surrender in the Spring of 1865.